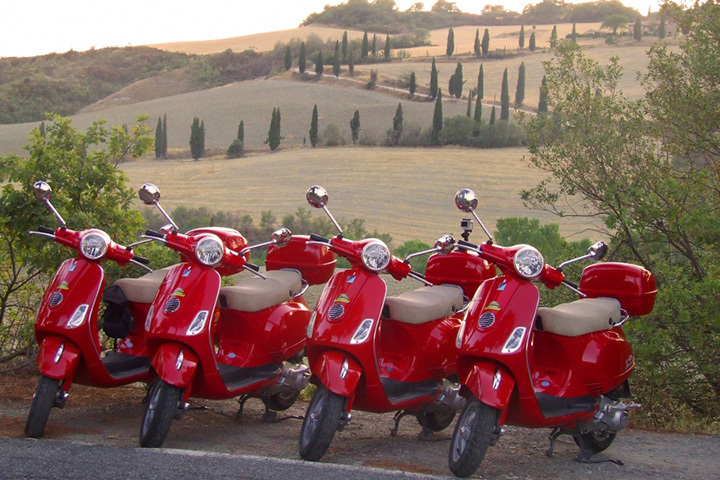 Chianti Vespa tour will take you on a exhilarating scooter ride through the hills of Chianti passing vineyards, villas and olive groves, to absorb the panoramic sights, smells and sounds before experience wine and oil tastings and a typical Tuscan lunch. You’re sure to have a fun time! Put the helmet on and let’s go! 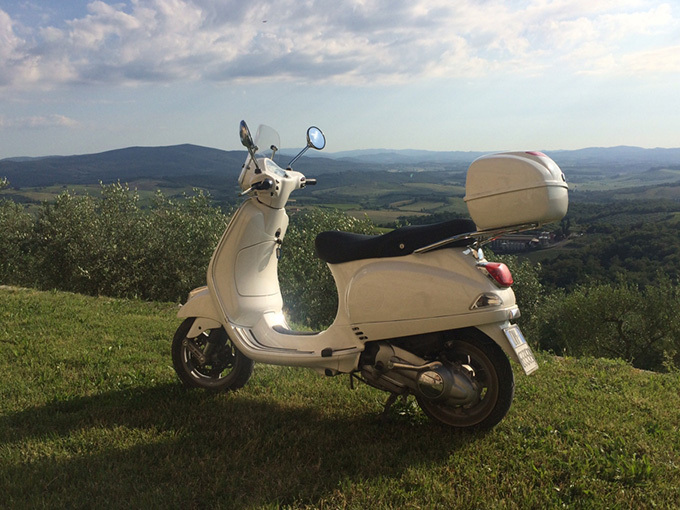 We begin with an explanation about the famous Vespas, how to deal and how to ride them and then head for the beautiful Chianti hills. The drive, along scenic country roads will offer splendid views of the rolling hillside, covered by Sangiovese vineyards and olive groves. You will also join the medieval atmosphere created by little churches and ancient castles. Our knowledgeable, and english speaking guide give you the opportunity to do several stops for amazing photos along the way. 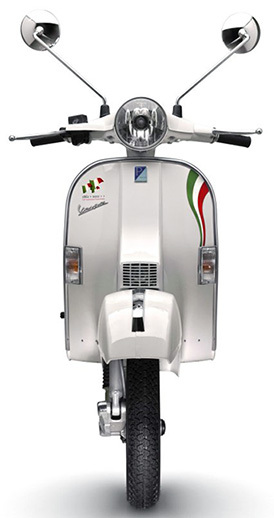 You will live “la Dolce Vita” driving an authentic Vespa 125cc, a true icon of Italian design. 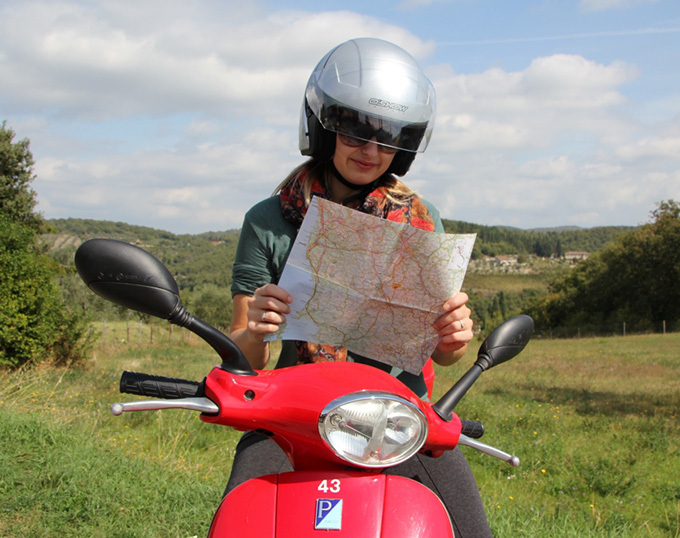 For part of our journey we take some of the route of the Via Francigena and “Eroika” bike race. After several panoramic stops we will enter in a fascinating winery and enjoy a guided tour of their ancient cellars, where you will learn all the secrets of wine and olive oil production. A typical Tuscan light lunch will be served with a tasting of 3 wines at our restaurant. 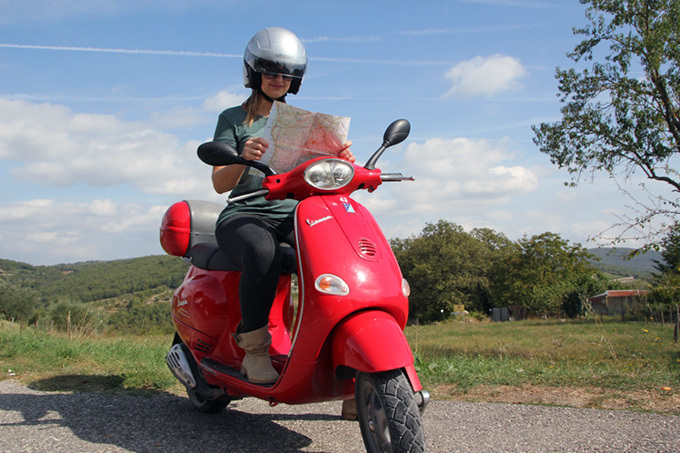 Stop as many times you like while reading your Vespa, discover Tuscany and its multifaceted territory. We have prepared a selection of stops that are particularly indicated for those who love photography and gaining monumental number of likes on social medias. 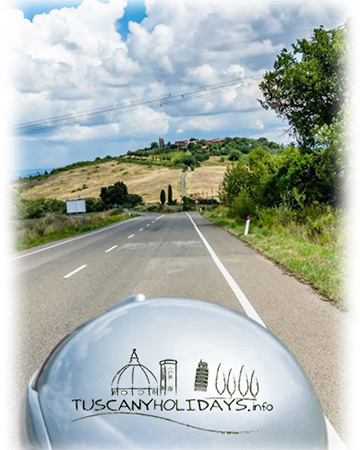 The itinerary involves the breathless Francigena Road. 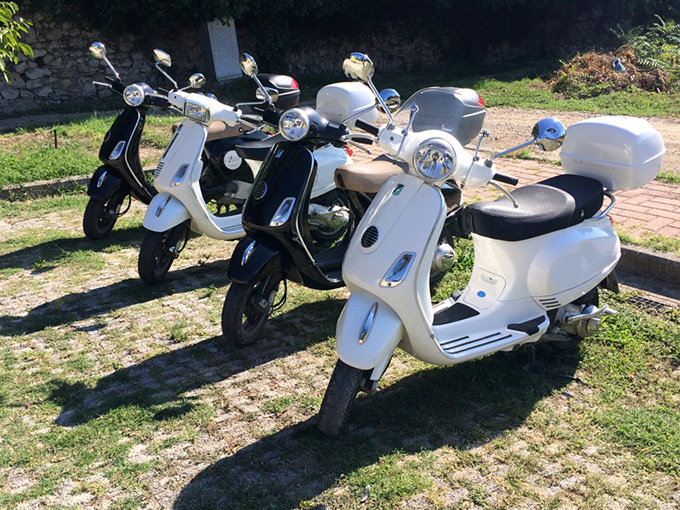 The ancient route that in medieval times connected Canterbury to Rome and to the harbors of Apulia has become an iconic itinerary for modern wayfarers, who today can set off on a surprising and enchanting route on their wonderful Vespa. 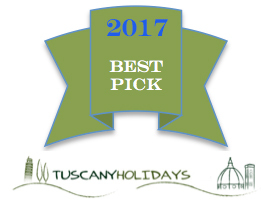 The tour will end up with a fantastic lunch, classic Tuscan style: wooden outdoor table, alfresco dining surrounded by beautiful vineyards, tasting of three wines and outstanding local, seasonal produce. Pay attention to the only sound that will accompany you along your food experience, that of our friendly ever-present, beloved cicadas, a true Italian symbol of summer. 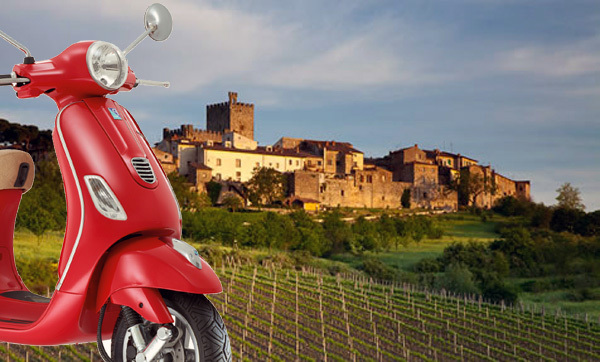 Enjoy Chianti driving an authentic Vespa ! ! !